The week in review: the Checkatrade Trophy is a joke, the transfer committee is a radical Valley Parade strategy, and could an overlooked City striker be about to make it big in the USA? Home › Opinion › The week in review: the Checkatrade Trophy is a joke, the transfer committee is a radical Valley Parade strategy, and could an overlooked City striker be about to make it big in the USA? The Checkatrade Trophy has become even more ludicrous. So when are Football League clubs going to demand Shaun Harvey’s resignation? Just when you thought the Checkatrade Trophy couldn’t get any more farcical, the third round takes us to even new depths. For inexplicable reasons, the powers-that-be have elected to deregionalise the competition from this point onwards. No longer a Northern and a Southern section, last week saw ridiculous midweek fixtures such as Blackpool vs Wycombe, Luton vs Chesterfield and Oxford vs Scunthorpe. Just 766 fans were at Bloomfield Road (53 away), 1,655 at Kenilworth Road (152 away) and 1,383 at the Kassam (90 away). The latter was Oxford’s lowest crowd since 1990. Tonight it’s Bradford City’s turn, with a 358-mile round trip to Cheltenham Town. Admittedly Cheltenham were somehow lumbered in the Northern section of the competition, just like City’s second round opponents, Cambridge, but it’s still not right that City are travelling to Whaddon Road (why weren’t Coventry and West Brom put in the Northern half, they are more Northern than Cheltenham and Cambridge?). And should they defeat their struggling League Two hosts, the “reward” is a quarter final tie at Oxford United – a 378-mile round trip. Let’s remember that one of Football League chief executive Shaun Harvey’s dismal arguments for revamping the Checkatrade Trophy was because of declining attendances. How can he have possibly believed that deregionalising the competition for the later rounds was going to address this? Asking supporters to travel hundreds of miles on a Tuesday – at a time of year where the weather is at its worst, and we’re all skint after Christmas – is disgraceful. On a positive note, three of the remaining four Under 21 sides crashed out of the competition last week, meaning at least one lower league team will make it to the final. But for City and others, getting to Wembley doesn’t seem like an achievement you’d want to celebrate. The B team experiment has completely devalued the competition to the point it has probably killed it forever. Imagine if City can win tonight, defeat Oxford in the last eight and then progress through the semi finals? That would mean a trip to Wembley, but how many of us would actually go? And even if we won on the day, picking up the silverware would feel somewhat hollow. That’s completely unfair on a group of players who have almost always given their best in the tournament this season. But winning the Checkatrade Trophy suddenly feels utterly meaningless. And for this and so many other reasons, it’s surely time that Football League chairman instigated a vote of no confidence in Shaun Harvey. His bold ideas to breathe new life into the competition have completely backfired. He’ll have caused clubs staging these Checkatrade fixtures to run up losses. Rather than the questionable aim of helping the England team of tomorrow, several Premier League and Championship clubs have used the competition to play senior reserve players and non-English players. If there was a moment where Harvey lost his last shred of credibility it was when he decided to fine several Football League clubs – Bradford City included – for breaking rules that B teams in the competition don’t have to adhere to. While clubs in the top two divisions are allowed to use these games to give their young players valuable experience, the rest of us are apparently not supposed to do the same. When it comes to City, I have never had an issue with watching understrength teams. The prospect of Ellis Hudson, Danny Devine and Sam Wright lining up for City didn’t put me off attending the Morecambe dead rubber in November – it was the main reason I wanted to go. What was anyone going to learn from forcing Mark Marshall to play that night? I think most followers of a lower league club would feel the same about their own squad. So who is benefiting from fining clubs for giving their own young players an opportunity? Throw in the League Three proposal – thankfully off the table now – and in Harvey you have a Football League chief executive who looks completely incompetent. It’s hard to know if the thought process behind his ideas has been to create a personal legacy, or to impress the Premier League or FA – either way, he does not appear to be putting Football League clubs first. And that is why clubs should be angrily asking questions of him. In the modern era, we in the Football League have enough issues to deal with. We need a Football League chief executive who understands those challenges, and who will fight tooth and nail for our best interests. Does Shaun Harvey fit that bill? The dog’s dinner that is the Checkatrade Trophy is Exhibit A in the case against Shaun Harvey, and the clubs who voted for it to go ahead are certainty far from blameless. But it’s time for those who can do so to start asking some serious questions about Harvey – and to not be afraid to push for serious change at the top. With the endless debate about Bradford City’s struggle to score goals, and the new rules around loanees, there’s no question this was a highly anticipated January transfer window. The urgency for improvement in the final third was obvious to everyone, so it was encouraging to see the club act so quickly by securing the services of the two Alexs: Jones and Gilliead. Whilst McCall clearly has a say in which players the club signs, he is not in 100% control. Abbott’s role as head of recruitment sees him take on a huge level of responsibility. He, McCall and Edin Rahic appear to have formed some sort of informal transfer committee. Targets discussed, debated and agreed on – Abbott gets to work. Jones is an example of that. Such an approach is almost unprecedented at Bradford City. Certainly Phil Parkinson was in complete charge of which players the club signed. Mark Lawn once told the story of how he had suggested Parkinson consider signing Leon Clarke, but the-then City manager was having none of it and it didn’t happen. It was also suggested that after Nahki Wells left City three years ago, the chairmen weren’t keen on Aaron Mclean. But, ultimately, it wasn’t their call. Football is littered with stories about managers feeling upset and undermined by other people joining them in deciding which players to sign. Clubs like Tottenham and Liverpool have clearly had some teething problems with their own transfer committee approach, but will justifiably argue it is now proving to be the right way. Prior to that, English football grappled with the director of football model. Someone who decided which players to sign, with the manager themselves having very little say. At Bradford City we experienced this type of set up for a short-term period, when the late Archie Christie was appointed to work with Peter Jackson. The arrangement survived all of five games, before Jackson resigned. Other manager/director of football relationships have proven similarly toxic. Phil Parkinson clearly felt he couldn’t continue as manager of Bradford City under the Rahic-led transfer approach, and McCall would have been fully aware what the plan was going to be before he agreed to take charge. This is where Abbott has been so vital as the third cog in this relationship. Just like with Christie and Jackson, many of the manager/director of football partnerships were undermined by the fact the two people didn’t know or respect each other. McCall must have had a lot of say in choosing Abbott to work with him. The pair go back more than 30 years. When targeting players, they won’t always agree on everything but they’ll retain the utmost of respect for the other person, which will help to keep disagreements constructive. The wisdom of crowds, when it comes to choosing targets, would suggest it will lead to more hits than failures. And certainly City’s recruitment last summer was a big improvement on the year before. McCall has been able to focus on coaching the team – an area where he was strong at during his first spell as manager. Abbott is taking some of the other pressures off his shoulders. Time will tell if this strategy proves to be a success, but the logical thinking behind it leaves you rooting for it work. As if Saturday’s defeat to Shrewsbury Town wasn’t frustrating enough, other results in League One underlined how it was a big missed opportunity. Sheffield United and Bolton suffered surprise defeats, Rochdale were beaten in the last minute at Southend. Bristol Rovers and Peterborough endured bad losses, and Charlton drew with Millwall. Scunthorpe, Fleetwood and Southend were the only winners in the top 11. City remain 4th in the league, but three points at the New Meadow would have put them right behind Bolton and comfortably within the play off positions. After the 1-0 loss, the gap to the automatic promotion points is now 10 points, and it once again feels like a top six finish is our best hope. Not that the play offs are a given – and that’s why this weekend’s visit from Millwall is so important. The 8th-place Lions are six points behind the Bantams and have a game in hand. With Rochdale and Fleetwood facing opposition they’d expect to beat, a home defeat for City could see the chasers right behind them. The Bantams would be struggling to remain in the play offs. So it’s absolutely vital they keep an arm’s length ahead of the likes of Millwall. A good home win at this stage of the campaign would be a massive confidence boost for everyone. Of course Saturday is Millwall’s first visit back to West Yorkshire since they impressively won at Valley Parade in the League One play offs last season. Despite City taking the lead, the visitors dominated the half and secured a two-goal advantage they rarely looked in danger of losing over the rest of the two-legged tie. Millwall – who lost the play off final to Barnsley – suffered the proverbial play off hangover this season, starting off badly. But they’ve come roaring back, and are currently sixth in the League One form table. Luckily, their away form is bang average and they’ve not won on the road since November 26. Six away losses show they are beatable, and City’s undefeated home record commands great respect. McCall and City need to shake off the negativity of the Shrewsbury defeat and go into this big game feeling confident. It’s in their hands to build the momentum and shape the mood around Valley Parade in the months ahead. Former Bradford City youngster is now a rising star in the MLS – will we rue what might have been? “He’s just like Nahki”. 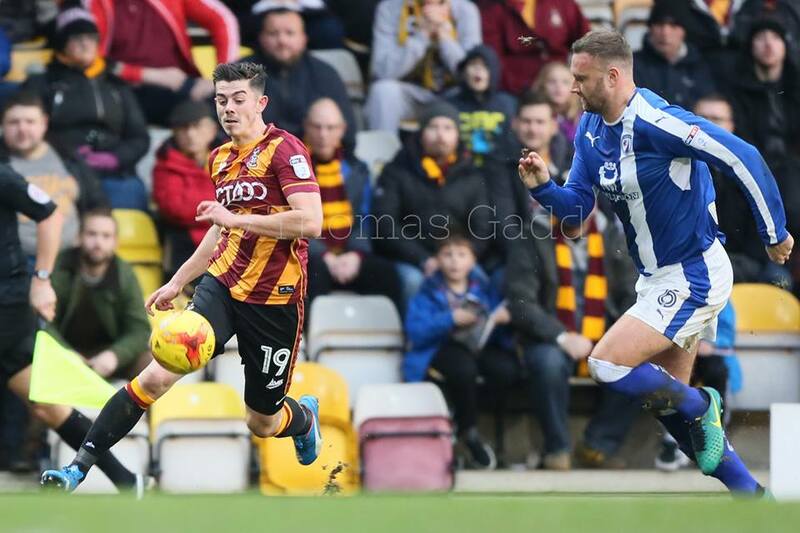 Former City winger and RIASA Football Director Mark Ellis was beaming with excitement when he told me about Jon Lewis, who had just signed a two-year deal for Bradford City on his recommendation. The 18-year-old American had been attracting interest from Championship clubs, and Ellis had high hopes he could eventually follow in the footsteps of another of his discoveries – Nahki Wells. 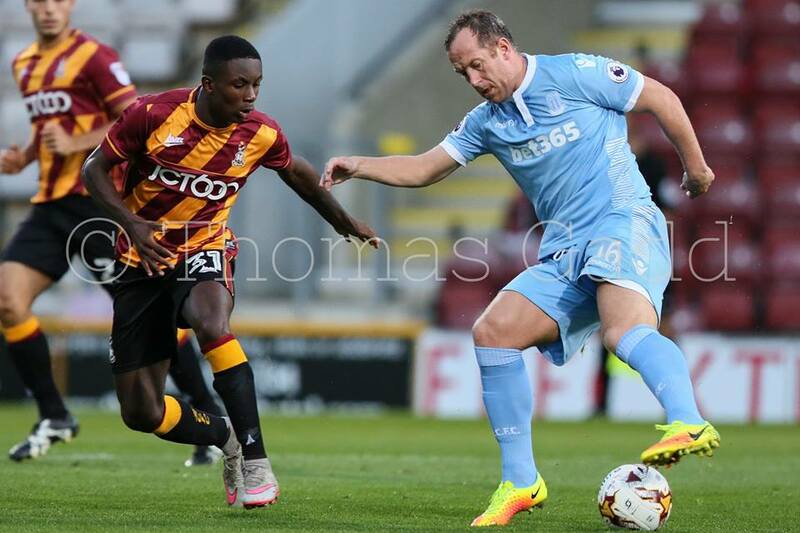 Lewis officially joined the Bantams in July 2015, but just three months later he was gone citing home sickness. His involvement in Phil Parkinson’s plans had been limited to a pre-season friendly at Guiesley. Discouraged and unsettled, he headed back across the Atlantic. 16 months later, Lewis might feel he was vindicated to do so – as last week the Major League Soccer outfit New York City FC bought him. The team are managed by Patrick Viera, and Lewis’ new team-mates include David Villa and Andrea Pirlo. They average more than 27,000 at home, and are part-owned by Manchester City. After leaving West Yorkshire, Lewis spent a season playing for the Akron University team, where as a right winger he set up 12 goals and netted a couple himself. This led to him being named Mid-American Conference Freshman of the Year, achieving the honour of MLS Combine MVP (Most Valued Player) and earning a place in the USA under 20 squad. Just like the NFL, at the end of the season MLS clubs hold an event called The Draft, where they take turns to sign upcoming players who have graduated from college. Lewis was set to be drafted by Chicago Fire, but New York City paid them $250k to secure the players’ services instead. With City’s difficult start to the 2015/16 season, it was hardly the right time for Parkinson to have blooded Lewis into the first team. Nevertheless, those closer to the situation than me believe Lewis could have been better looked after by the club. Moving away from his Florida home and all he knew, Lewis ended up living on his own in Bradford. With no driving licence, he was cut off and lonely. No wonder home sickness struck. A better option might have been for Lewis to have been housed with other RIASA students, who were all in the same boat of adapting to life abroad. On 2 October 2015 Lewis was loaned to Farsley Celtic, and within 10 days he had opted to leave England. Perhaps he felt further pushed out. 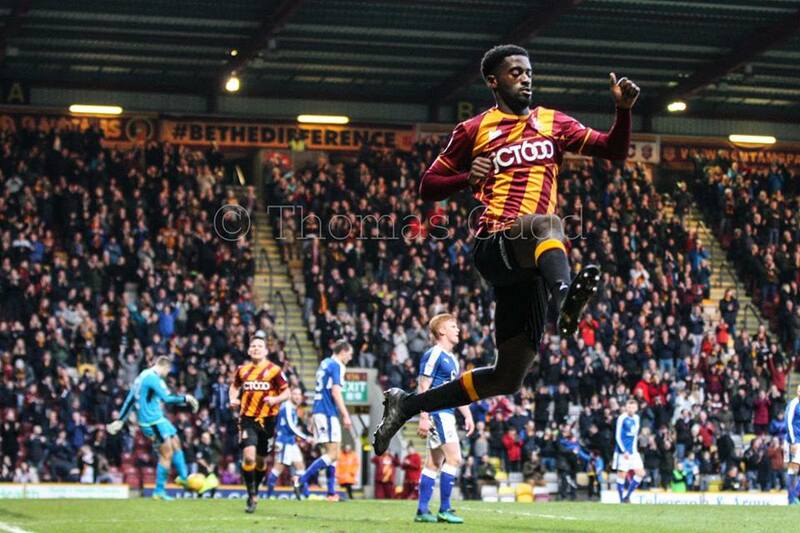 WOAP understands that relations between RIASA and Bradford City have cooled this season. This seems curious, given Stuart McCall and Greg Abbott know Ellis and John Hendrie very well. And with Edin Rahic keen to explore bringing in young players from other countries, RIASA would appear to be a perfect fit to support those aims. Whatever the rights and wrongs of the relationship between Jon Lewis and Bradford City, if the young forward goes onto fulfil his potential and play a staring role for NYC in the MLS, we might be left to rue what might have been. Who is your greatest ever Bradford City goalkeeper? Vote now. It is too early to judge the transfer committee we have had some success with law Cullen knp and deing. Vincelot was signed as a centre midfielder yet he has only had two opportunities to play there and has struggled both times. Mcnulty and Vukic were failures and the jury is till out of jordy. This may seem quite negative but I am not sure that jones was the right type of player we needed and following his first two games I am concerned that he may be a work in progress who may struggle with the expectations and not offer what we need to secure promotion this season. From a long term perspective on paper he ticks the boxes. Short term I believe we need an experienced striker who is ready to deliver and one and can handle the pressure. I also think we need to change our tactics and approach since November I feel we have become too rigid in what we are trying to achieve. We keep the ball get it out wide for crosses deliver a poor cross start again. We have lost the fluidity of law Cullen Clarke Marshall Hiwula playing football in the final third interchanging positions being very difficult to mark and creating different types of opportunities. Having possession is all good and well but there needs to be a successful outcome. Dare I say it we have started to look as rigid as parky set out, the differences being we now play the ball out from the keeper we do not maximise set pieces and we do not have a right back playing right mid. I do believe a GM in the way the NFL is probably the way forward for English football. With how quickly teams go through managers now it is understandable that managers don’t think about the longer term in their decisions and hence we won’t see as much youth given the chance. If there is a GM type role in place who puts the squad together then when the manager turns round and says I need X he can be the man who knows the 1st team, Academy and availability of players at other clubs and say we don’t need a left winger as I think Ellis Hudson is good enough to make an impact in the first team. Im shocked to hear about the RIASA situation because as you say it should be the perfect fit for us. Great article. I am fed up with people moaning about the lack of goals this season. We have played some fantastic football compared to what we had to witness last season. There are plenty more twists and turns that will occur before this season ends. I am happy with how this season is progressing and it was always going to be a difficult task for McCall to get us promoted at the first time of asking during his second managerial reign. As for the Checkatrade Trophy, it’s a joke and knowing how the world of football works, Harvey will get a better paid job in football for his past failures. So you’re happy with 7 goals in 10 games? Each to their own i suppose. I agree wholeheartedly with Idler’s comment. We seem to have got in a mind set of possession at all costs, one of those costs being goals and chances created. The mini run before Saturdays debacle was welcome but we have yet to hit the sort of play we witnessed early in the season.Millwall will be a tough test and could be a pivotal game in as to which of the two teams could hit the playoffs. A win could seriously dent the lions chances, a loss and the chasing pack could be one step closer. I appreciate that it would be good if we were scoring more goals this season. However, we aren’t going to be amazing throughout the season. Yes, we were playing better in the earlier part of this season which raised expectations of many supporters. What would people be saying if we were mid-table? Maybe as I get older I see more important things in life than football results?